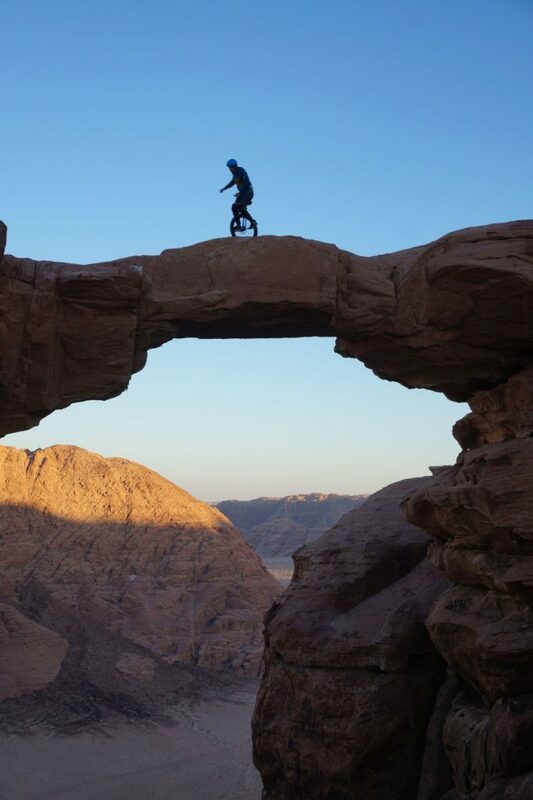 In front of me Michael is riding on a unicycle over a 5m long and 200m high natural bridge. 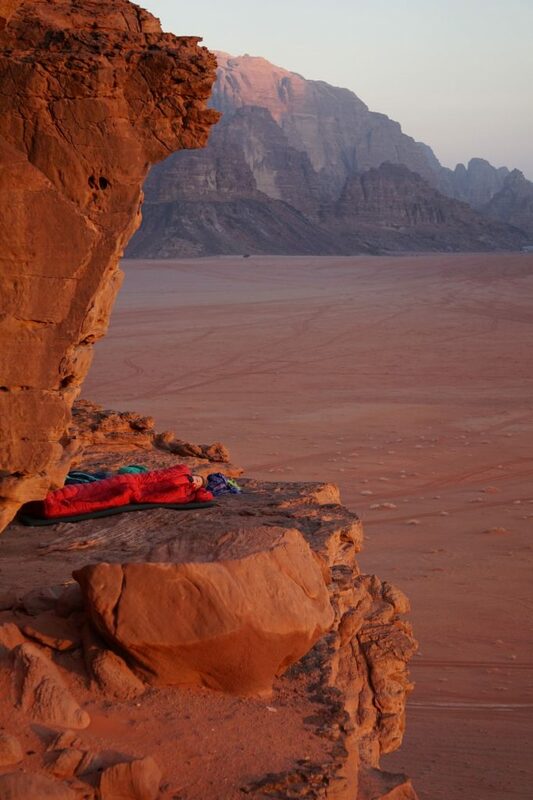 Behind him I see the last rays of sun set behind the beautiful landscape of the Jordanian desert and I wonder, what am I doing here? My name is Lutz Eichholz. 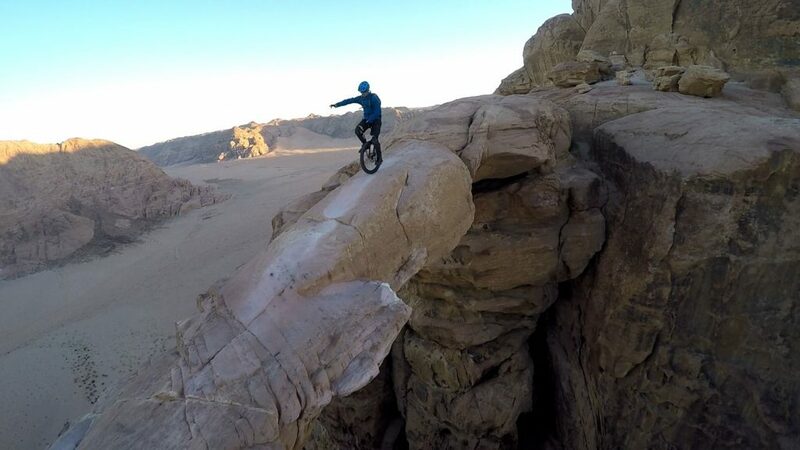 I am 32 years old, at least half professional adventurer and mountain unicyclist. For almost 2 years I have had an even more important, unpaid, job in which I will soon be promoted. 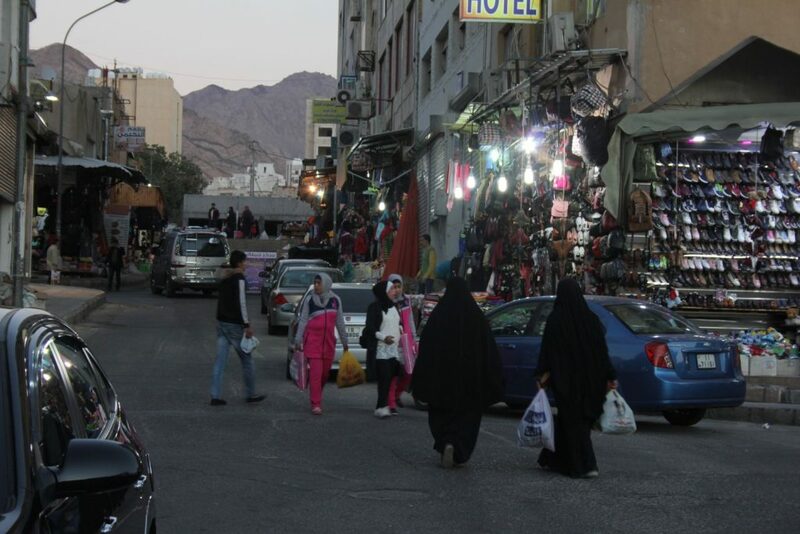 Was it a good idea to start another adventure in the Middle East just before the birth of my second child? 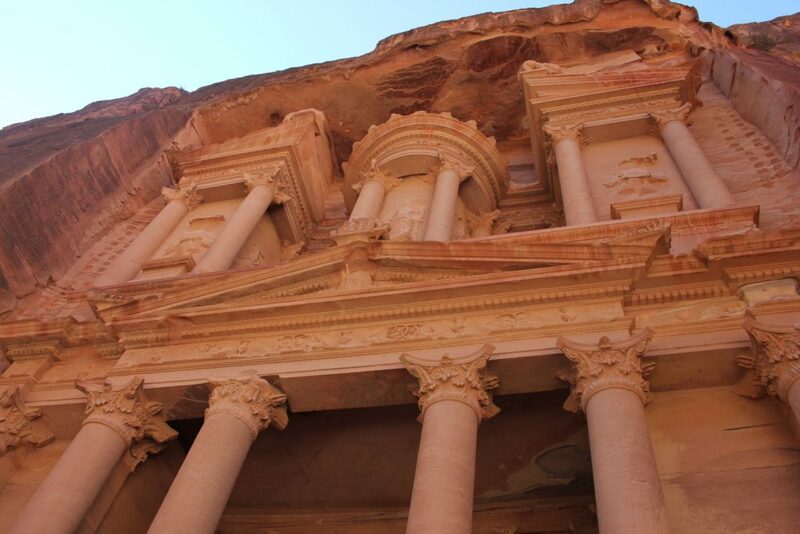 I started six days earlier at the train station where I had to leave my wife and daughter before I went via Frankfurt and Amman to Jordan’s only city on the Red Sea, Aqaba. At our hotel I meet Lea and Michael who I only saw once before, who accompany my old friend David and me on this trip. 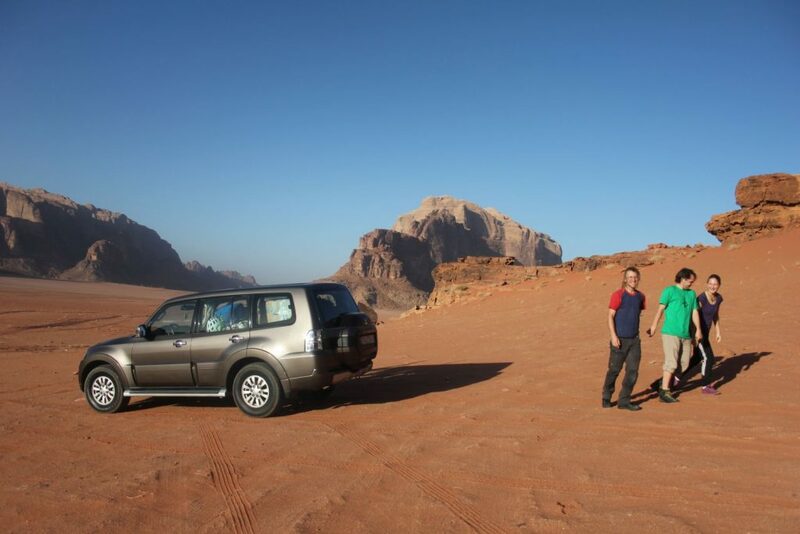 The next morning, we go directly to the rental car dealer and from there immediately to the Wadi Rum desert. I hope that this place is the perfect spot to find out if I can push my sport further or if I should slowly think about expanding my work as a city planner and keep unicycling only as a hobby. 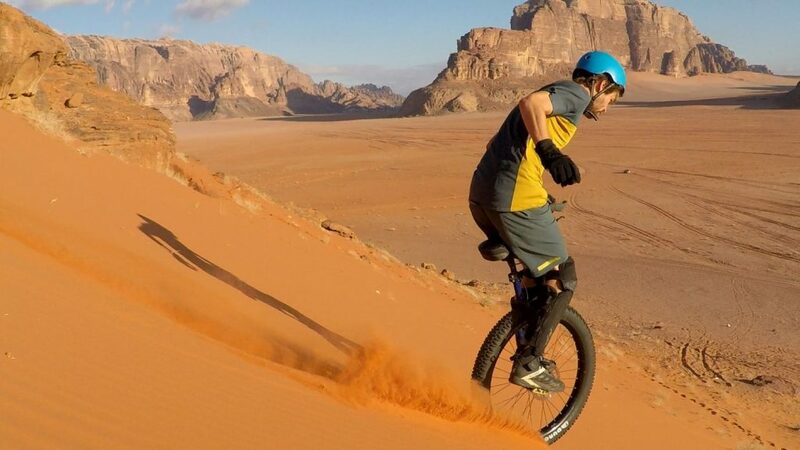 A few days later I know that unicycling just as a hobby still has time. Even though I am very homesick for the first time in my life the journey is unbelievably fun for me. 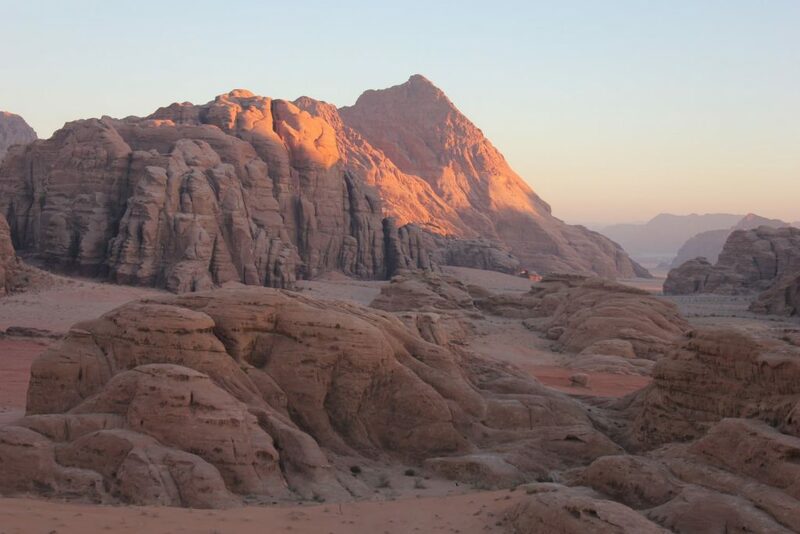 The bizarre landscape of the Wadi Rum motivates my fellow travelers and me to push the limits of our sport each in our own way. 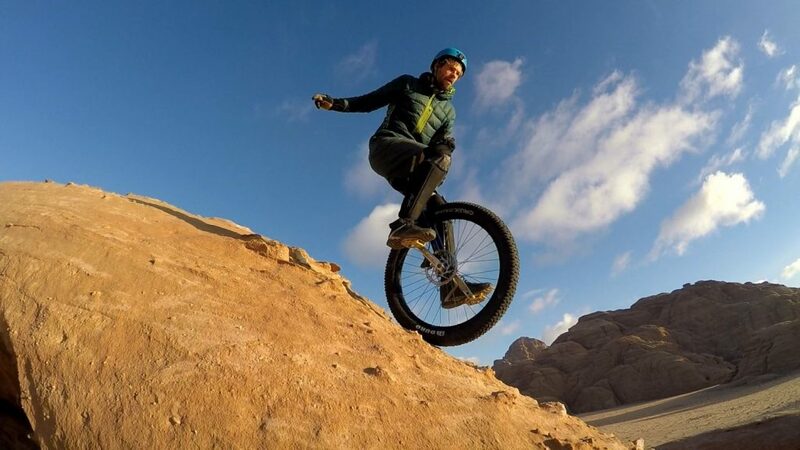 Every day we search for the hardest unicycle obstacles and go to sleep happy and tired under one million stars. 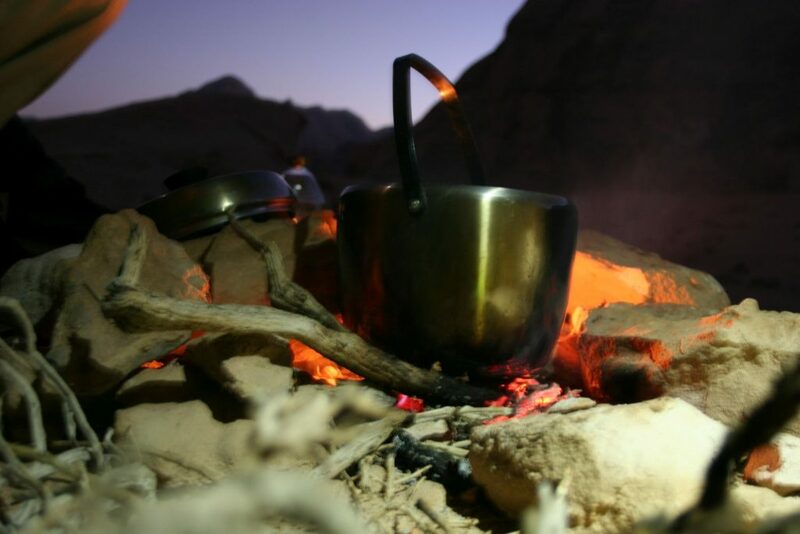 We cook on campfires in the desert. 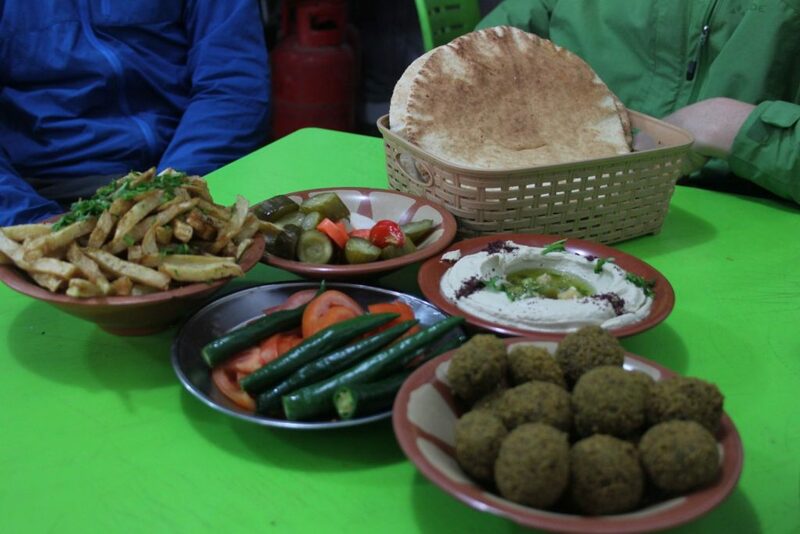 Every two to three days we visit small villages to buy new provisions and try out local food in small restaurants. 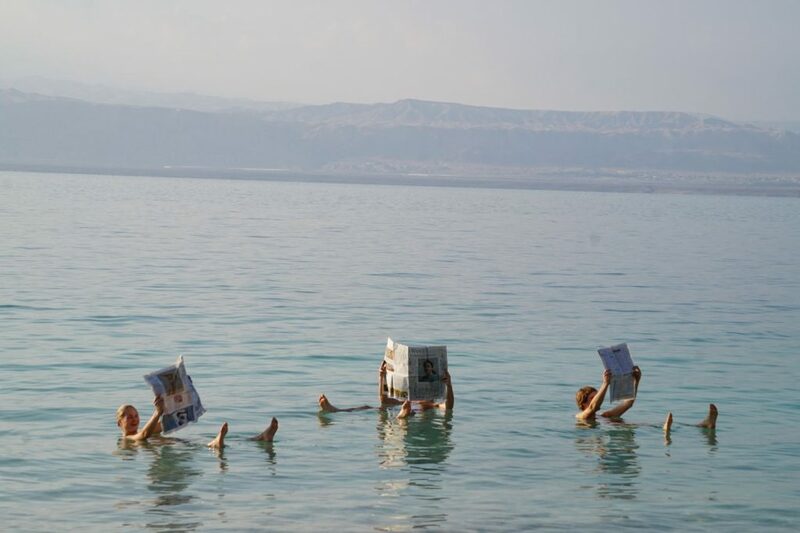 Of course, we visit the classic tourist attractions like Petra and the Dead Sea as well. And of course, I drive, even if it is actually stupid, behind Michael over the exposed, narrow bridge. After a few days of getting used to the new ground I try new freeride tricks and ride down the steepest spots I have ever tried in my live. Nevertheless, I still don’t know on the plane home whether the sport experience is worth to be separated two weeks from my family. Only after a few days at home where I view the photo and video material I come to a positive conclusion. The two unknown accompanying athletes have become friends. 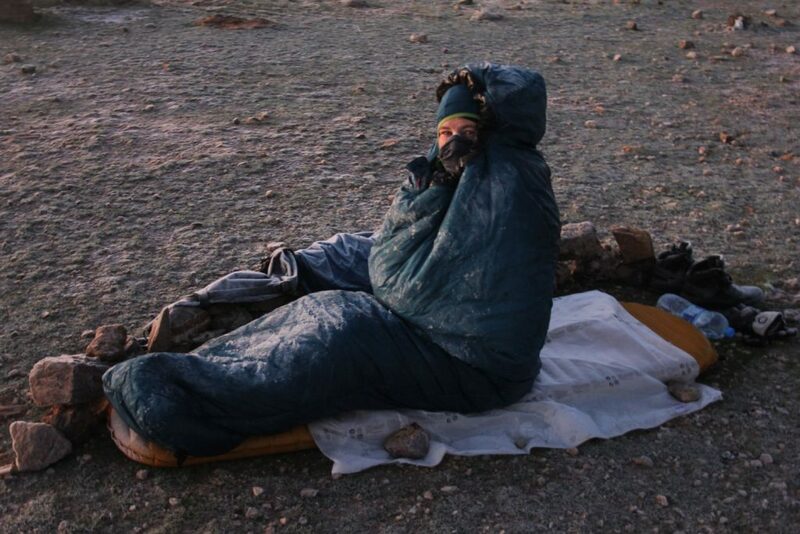 The memories of the adventure I experienced together will keep me smiling whenever I think of it for a long time. Now I am ready to tackle my real task as a family father even more motivated. I am looking forward to the challenge of soon having two kids at home who make every day an exciting adventure! 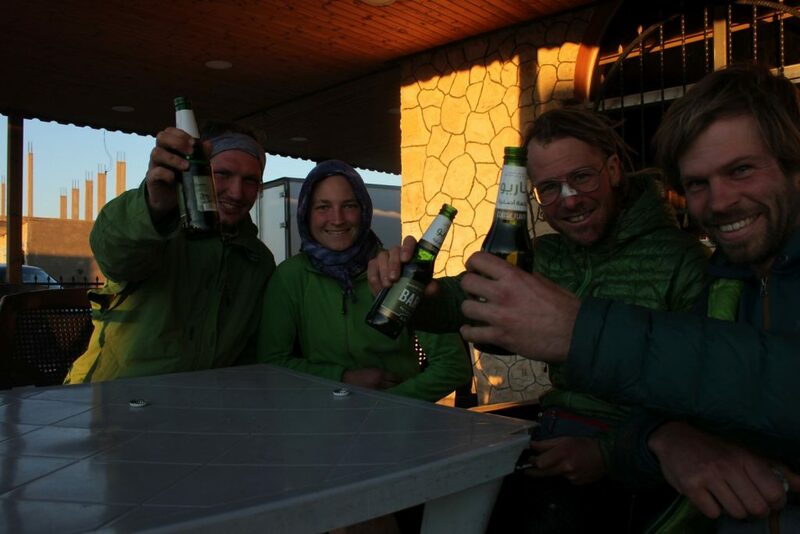 Pictures: David Weichenberger, Lea Opitz, Michael Rung and myself.